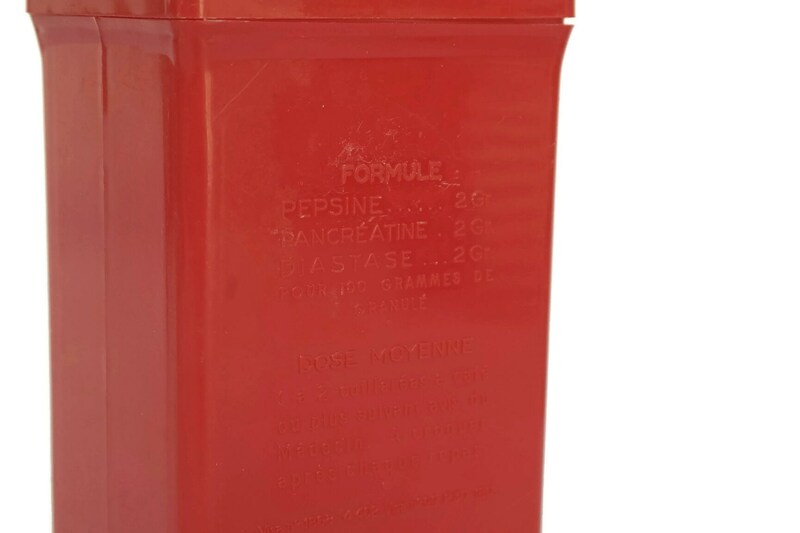 A French vintage medicine box manufactured by the French Laboratories Hepatoum in Saint-Yorre (Allier, France) in the 1970's. 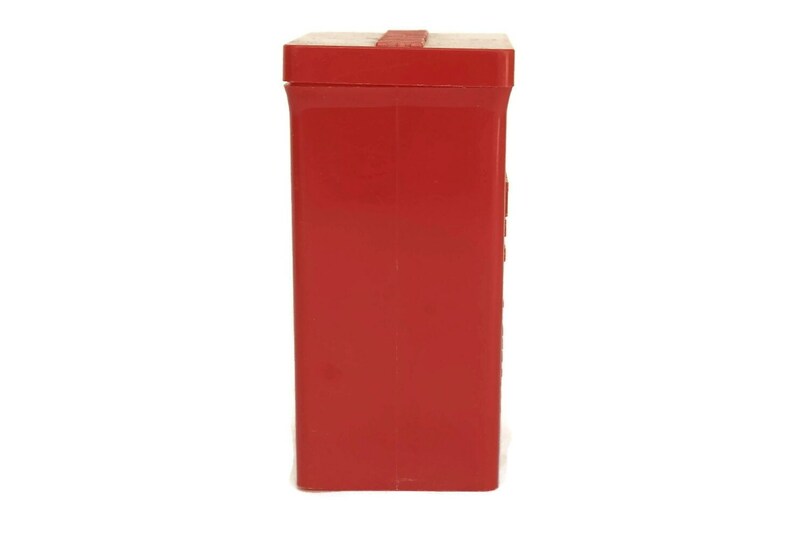 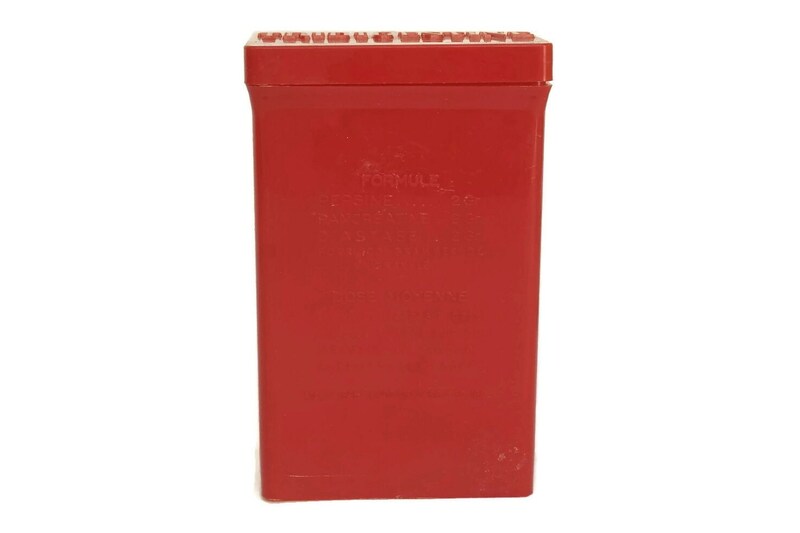 The rectangular medical container has been made from red molded plastic with a removable lid. 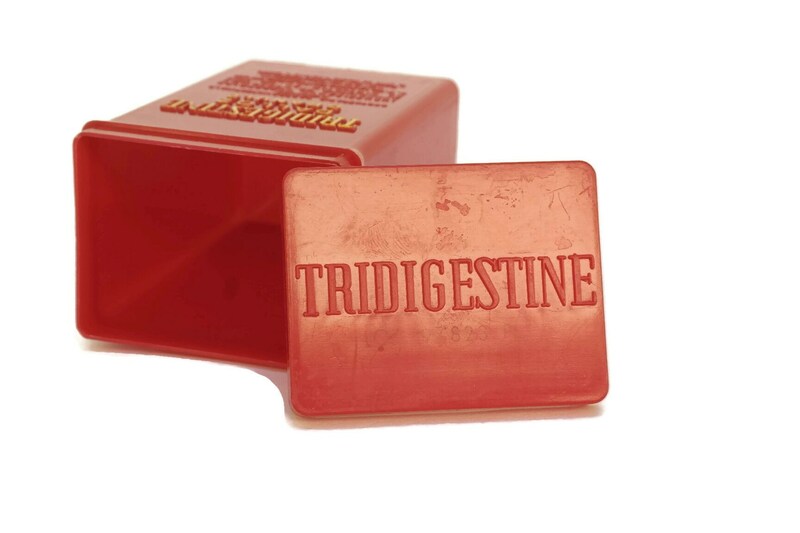 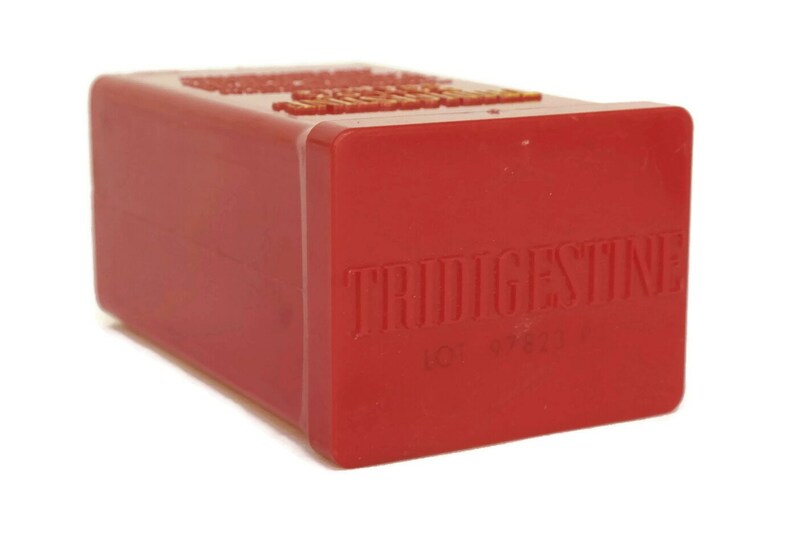 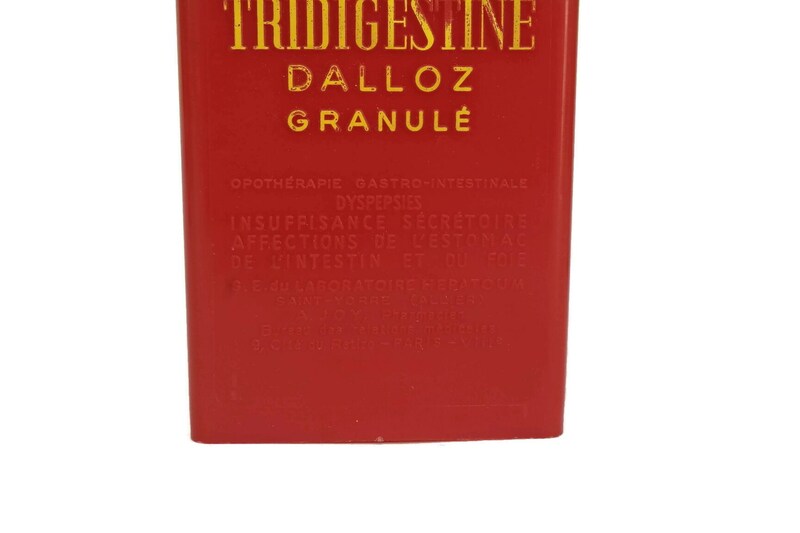 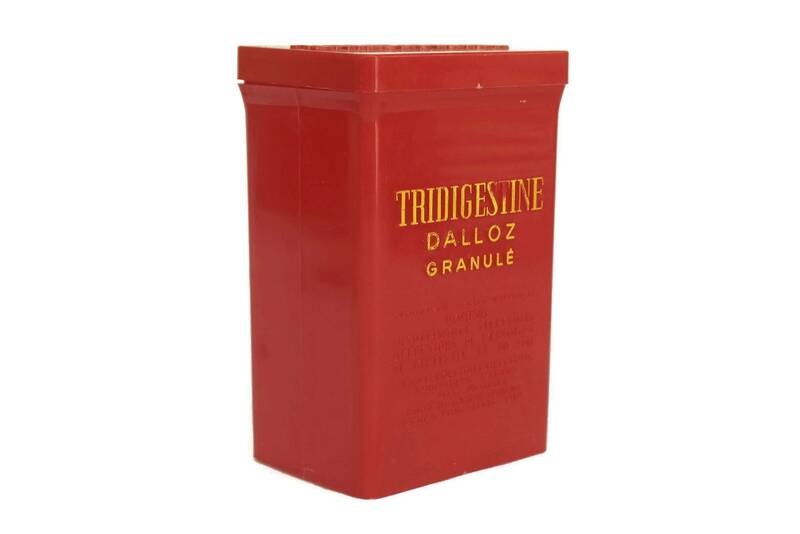 The box and its lid have been embossed with the Tridigestine logo. 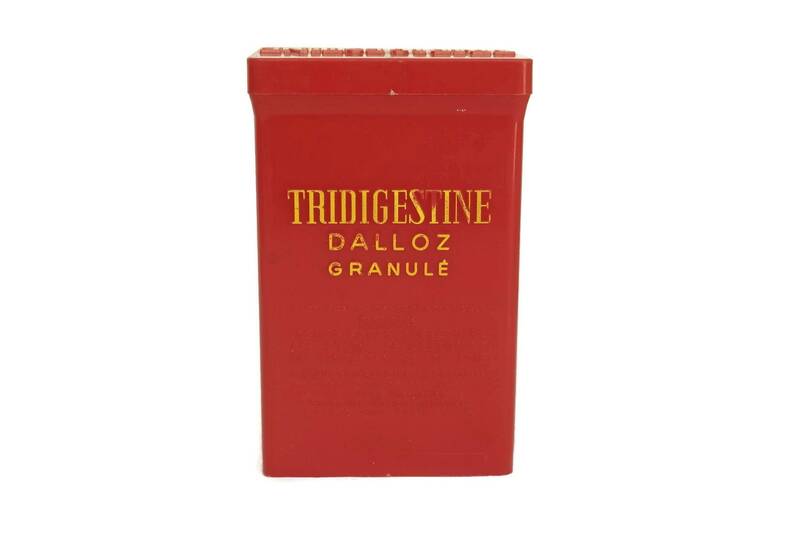 The drug box originally contained granules of Tridigestine prescribed for gastrointestinal problems. 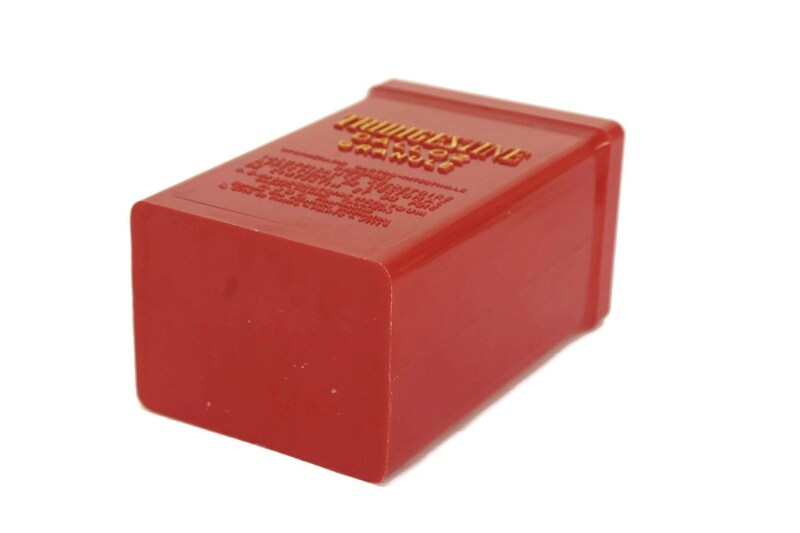 4" Tall x 2 1/2" Wide x 1 3/4" Deep (10 cm x 6 cm x 4,5 cm). 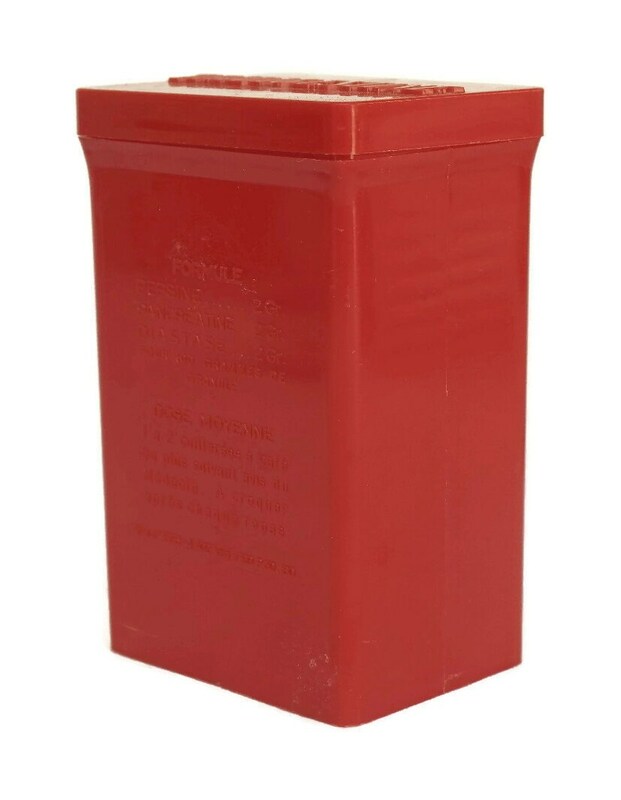 The collectible medical box is in very good vintage condition with age appropriate wear including scratches to the plastic surface and light rubbing to the paint on the embossed letters.